Technolism - Best around the web! Believe it or not, 2017 is almost over. We’re now on the countdown to Christmas. The new year is around the corner and so is the time to say goodbye to 2017. Around this time of the year, TopCashback is known to run a series of treats wherein they drop a daily clue and you need to guess the merchant based on the clue teasers. TopCashback is back with Xmas Treats Cashback Giveaway for 2017 and you can win easy cash. There’s £17,500 up for grabs at TopCashback UK – just in time for Christmas! There’s not much that you need to do to grab these prizes in cash back. This is what this post is all about – helping you with the answers to TC Xmas treats Cashback 2017 clues. I will get to that in a sec. The winnings get credited directly to your TopCashback account which you can then withdraw in many ways – Amazon vouchers, Love2shop vouchers, wire transfer to your bank to name some. What do you need to do to take part in TopCashback Xmas Treats 2017? Guess the retailer in the daily clue and then search for the retailer which is when you should see a little hummingbird with a gift. Click on it! Look around for the little hummingbirds. They can appear on any page. As you find out the correct retailers listed on TopCashback, you are awarded treats which you then accumulate to get prizes in cash – £0.10, £0.20, £0.50, £1, £5, £10, £20 and £100 in cash. If you use my link, I may get a small commission if you were to shop via TopCashback in the future (doing which you will earn cashback and I recommend you do all shopping via them!). It’s rewarding! This comes at no extra cost to you and these commissions help me pay for the costs of running this website. With each correct answer, you also get an additional entry into the TopCashback Mega Prize Draw of £3000. So look out for the cute little hummingbird and get winning! Each flying hummingbird you catch will gain you one entry into the mega prize draw to win the top £3,000 prize. Some hummingbirds will also have a festive surprise in their basket – simply find matching items to win the instant win prizes. In this article, I am listing the daily clues starting from 01 Dec 2017 to 24 Dec 2017 at 23:59. If you haven’t been collecting treats from day 1, don’t worry! You can still have a chance to win FREE money by going to the retailers in the below list and still get the little TopCashback hummingbird with the gift basket. I update this post daily as the daily clue is updated on the TopCashback site – if you need help with tomorrow’s answer to TopCashback Xmas Treats, drop back in and I will be here! If you want to know more about the TopCashBack giveaway, keep reading! How much are the total prizes worth? Xmas treats 2017 has £17,500 up for grabs! You could win over 60,000 instant-win cash prizes worth up to £100 or, as I mentioned the mega prize draw of £3000. How can you earn more treats? In addition to the daily clues, you can also find the TC hummingbird on some random pages. So keep looking and if you find one that is not already added to the list above, do share it in the comments below so others can win too! You can also share your progress on Facebook or Twitter to gain 5 additional entries to the £3,000 MEGA prize. If you are not already a TopCashback member, you can sign up for a free account now. You don’t have to be an existing member to be a part of Xmas treats by TCB and haven’t missed much since the giveaway started. You can sign up now and go through the old clues to start collecting Christmas treats starting 01 Dec 2017. I hope this post about clues/answers to TopCashback Xmas Treats Cashback Giveaway help you win a good cashback amount. Do share your experience in the comments section below. Google finally revealed the details about the much-anticipated Google Glasses, putting an end to the mystery and speculations around this high-tech eye-wear from the web’s search giant. Earlier this year, Google had released some interesting details around what you could do with Google Glasses when put to practical use, on their project website in the form of a YouTube video. At the same time, Google also had opened a program “Glass Explorers” under which a few people were able to show their interest in getting their hands onto Google Glass for $1,500 and be its first users. On all these occasions, the only thing missing was the specs and technical details of Google Glass. Since then, blogs and websites have been writing about this latest revolutionary project with people speculating its features – until today! Google Glass is a wearable high-tech eye-wear developed by the Web giant Google in the Project Glass. Google Glass displays information on-demand in a smartphone-like hands-free format that enables the user to interact with the internet using simple voice commands. It is powered by Android (obviously!) and currently, authorized for use in the United States. What You Can Do With Google Glasses? Although, it might be a little harder to hear Glass or use voice input commands in noisy areas, and to see the Glass screen in bright sunlight, there is still a lot you can do with Google Glass – well, if you are convinced that you really need it! Below are examples of simple voice commands you can use to interact with the internet via Google Glass. Ask whatever’s on your mind – Google it. As I mentioned Google had last a Video showing how it actually feels when you see the world through Glass. Here is that video footage captured through Glass. Now that you know a bit about what Google Glass is, let’s jump on to the main topic which this post is all about – Google Glass details, features and images. As claimed on the Google Glass Info page, although Glass is robust, stable and built to ﬁt into your life, you might break it if you don’t handle it with care. It comes with adjustable nose-pads (extra nose-pads in two sizes are also included) and comes with a durable frame and you can bend it to fit your face. You can also move the display hinge until you can see the whole screen. Google Glasses comes with a high-resolution display which is equivalent to 25 inch HD screen viewed from an 8 feet distance. The camera featured on Google Goggles is 5MP for photos. For Video, it comes with sensor capable of recording at 720p. For audio, Glasses is using Bone Conduction Transducer. It has got internal storage of 16GB out of which 12GB can be used by user, synced with Google cloud storage. Google Glass will last one full day for a typical use. Some features, like Hangouts and video recording, are more battery intensive and battery life will vary according to your use. It is compatible with any Bluetooth-capable phone. The MyGlass companion enables GPS and SMS messaging which requires Android 4.0.3 (Ice Cream Sandwich) or higher – it can be setup from the Google PLAY Site (Download Link). Google Glasses come in a different range of colors to suit your style – Charcoal, Tangerine, Shale, Cotton, Sky. Although Google has released the detailed specs of the device and also launched Google Glass Tech Specs and FAQs page, the only thing which is not disclosed by Google at the moment is the launch date and pricing of Google Glass device. We would have to wait and watch when Google does that! I have tried to cover all the details about Google’s Project Glass. But, if you are still hungry for more, you can follow this link to check out Project Glass website. So, what do you think about Google Glasses? Excited? 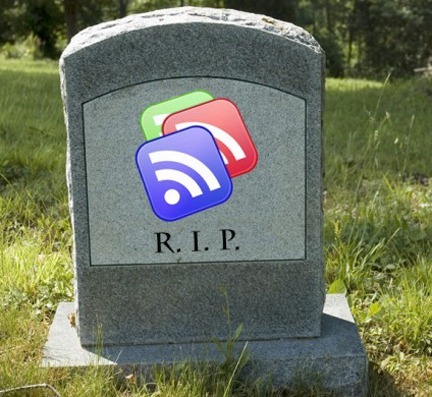 As you would already know by now, Google is going to officially kill “Google Reader” – it’s popular RSS news aggregation service – starting July 1, 2013. This also means all your third-party feed reader apps like FeedDemon, NetNewsWire, Reeder, Pulp and many more, which rely on Google’s RSS service will also be buried along with Google Reader. You are now left with no choice but to start looking for Google Reader alternatives or shift to apps like Feedly, Flipboard or Currents. There are two simple reasons for this: usage of Google Reader has declined, and as a company we’re pouring all of our energy into fewer products. We think that kind of focus will make for a better user experience. Users and developers interested in RSS alternatives can export their data, including their subscriptions, with Google Takeout over the course of the next four months. 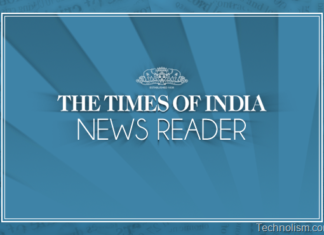 The decline in Reader’s usage can be attributed to the increased use of social networking sites like Twitter and Facebook, both to stay updated with the news and also to connect with a community of like-minded people! If you rely on Google Reader (and related products) to access your favourite RSS feeds, and don’t want to see it go, you can sign this petition at Change.org, protesting against Google’s move to shut down Google Reader. This petition has already crossed the 120,000 mark for supporter’s signatures. 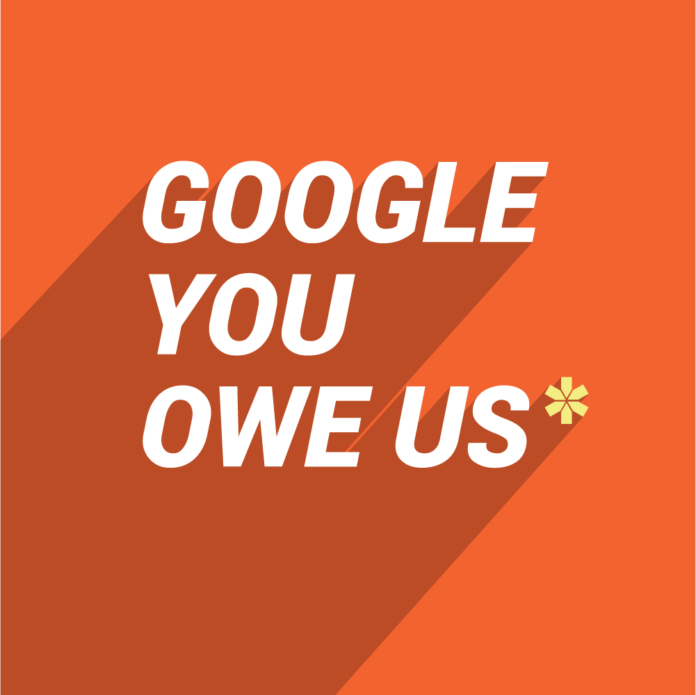 Will Google listen to the moans of Reader users? What do you think? How many times does it happen; you find an informative article online and because it is quite lengthy, you end up not reading it, just because you were running out of time? It happens to me a lot of times, and in situations like this, I make use of the ‘reading list’ on my Mac, and later continue reading the article on iPhone or iPad. If you don’t have an iPhone or iPad, you can make use of the sync feature in Firefox and Chrome using which you can continue reading on your Smartphone. There is yet another option using which you actually don’t need to read the whole article, instead read a summary of it! There are some great web apps available out there, which make your life easy – simply copy the whole article which you plan to read and copy the content into the summarizer app. The auto summarizer app will shorten the content for you in the number of lines you desire to read it in. How Texting and Instant Messaging Hurt Your Grammar? Summarizer apps are really useful for bloggers as most of the times all we need is a glimpse into a particular news piece to get an idea of what is being talked about in the article. 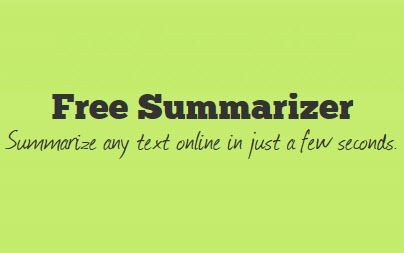 And, if you are a student preparing a thesis and need a summary quickly on a topic, summarizers act as real life-savers! 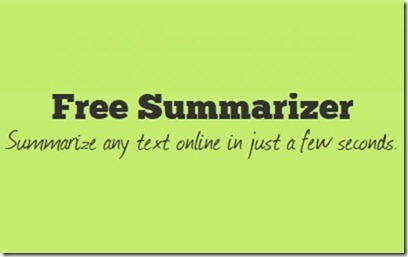 Here is a free summarizer web app which makes the things easy for you! 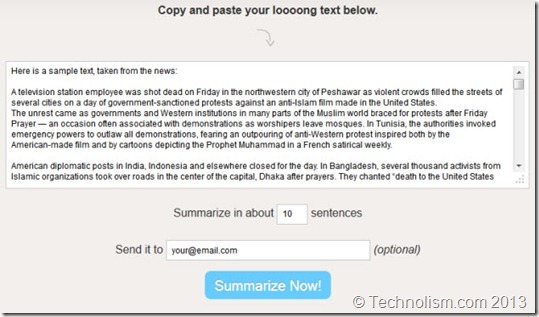 Using this free web app, you can shorten any text online, and that too in a few seconds. And, it is very easy to use. 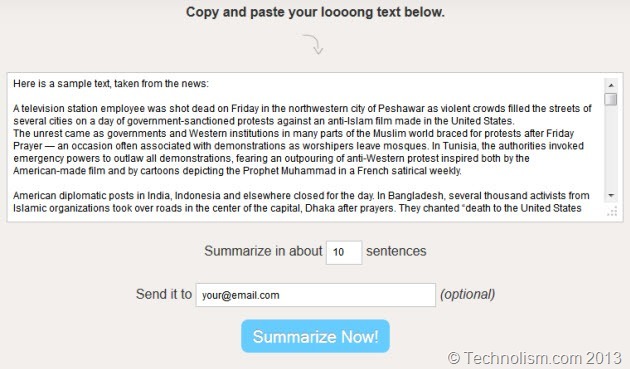 So, simply copy the content from your favourite article, and paste it into the text area in Free Summarizer. Then specify the number of lines you want the article to be summarized in. You can also enter your email address to have the article summary emailed to any email address. We all are social media freaks, aren’t we? We are all time chatting with our friends on Whatsapp (don’t tell me you don’t use it! ), Facebook Messenger, Viber, Skype, Textie, BBM and what not! But have you ever wondered, how an increased reliance on text messaging and techspeak is destroying our writing and verbal communication skills. First of all, let me tell you what is techspeak? Techspeak is a take on english that is used while texting, instant messaging, Emailing, Social Networking. Some example I can refer to here are – LOL, TMI, OMG, FYI, AFAIK, etc. The shortened language does all you to type more quickly (like “C” for “see,” “2” for “to”), but it also affects your grammar when writing a blog post or a piece of official document or email. The most impacted due to this are the students and professionals. A study has revealed that the more students, the more it may impact their grammar – students who use techspeak a lot, may have trouble switching back to traditional grammar when needed. Research suggests the use of abbreviations, word substitutions, acronyms, and emoticons, are all major contributors to this decline. How texting, IMs and social networks have a hit on your grammar and professional writing skills, why does it matter at all, let’s find out in this well researched infographic below. So, how often do you use techspeak while communicating with your friends, do you feel that it is having an impact on your grammar and written skills? Do meet me in the comments below. 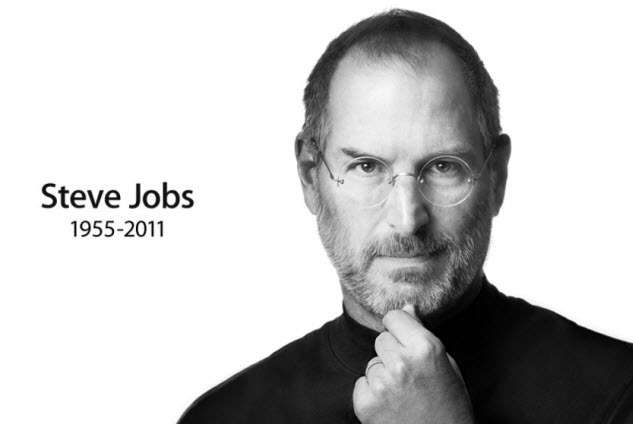 Ever since Steve Jobs left his legacy at Apple, people have been asking, what would Steve Jobs do? Now that the iPhone 5 has been on the market for the past four-or-so months, people are still asking, what would Steve Jobs have done differently to fill in the gaps from missing features in iPhone 4S? Samsung launched a marketing campaign jabbing at Apple’s newest phone, belittling its new design by pointing out its “biggest” achievements – like moving the headphone jack from the top of the phone to the bottom. Samsung may have had some valid points, since this iPhone release was met with more disappointment than any previous releases. People take their phones seriously, whether it’s a smartphone or a home phone service. The reputation of the iPhone is so important that an Apple exec was even let go after the iPhone 5 release. So how did this Apple fall so far from the iPhone tree? One of the biggest benefits of owning a smartphone is getting real-time directions and up-to-date maps. One of the biggest benefits of owning an iPhone is to get the best directions and the best maps. While no one expects perfection 100% of the time, what iPhone 5 customers got was below everyone’s standards. How below? So subpar that Richard Williamson, former VP of iOS Platform Services, was let go from the company has the overseer of Apple Maps. Apple Maps replaced the popular Google Maps on the iOS platform, much to the dismay of millions of people who went out and stood in line to buy the iPhone 5. Why? Blurry pictures – Is this real life? An image on your iPhone screen isn’t in beautiful, HD quality? When first released, Apple Maps images showed up as distorted, even warped. Blurry pictures are not something that has previously been associated with iPhones, so the fact that the new 5 had taken a step back in quality was a big point of frustration for consumers. Missing locations – Everyone knows the iconic Statue of Liberty. Everyone also knows that it should be standing proudly on Ellis Island. However, viral images went around of our Lady Liberty as nothing but a mere shadow. Other reported mistakes were mislabeled locations, out-of-date locations, missing cities and towns, and misspelled cities (even the capital of Ukraine was spelled incorrectly). Apple is quick and has made adjustments since these missteps were first reported back in the fall, but the fact that these mistakes were even made put a bad taste in consumers’ mouths. One of the biggest wins for the iPhone 5 is Passbook. With this App, you can store boarding passes, concert tickets, coupons, rewards cards, etc. Something as convenient as this led many to believe that a Near Field Communication feature (or NFC) would be included as well. NFC basically enables you to either touch or swipe your phone at a checkout, instead of using your debit or credit card. As opposed to Apple Maps, this is considered a missed opportunity because it isn’t even included in the iPhone. However, word on the street is that the next iPhone adaptation will adopt NFC technology. This is a guest post by Jesse Clark. Jesse is an experienced blogger with extensive knowledge in the field of smartphone technology. Any tablet device looking to make a splash needs to offer users something special, as the mobile device market is a very competitive one, and people have got ample amount of choices available. The particular area where manufacturers want their devices to stand out is in gaming, which remains one of the most popular usages of mobile devices, and it can be argued that the Transformer Pad devices produced by Asus do offer plenty to recommend them to gamers. A frequent complaint amongst those gaming on a tablet – even hugely successful ones like the iPad – is the absence of a physical keyboard. Thus, the option of using a docking keyboard with all Asus Transformer Pad models makes the gaming experience a bit easier. The users have the luxury to get connected through the docking keyboard and enjoy unlimited gaming all day long. This varies depending on the model you choose, but the more expensive Transformer Pads – like the Infinity, boast a screen size and image resolution that will have even Apple getting nervous :P. The all new stunning 10.1 inch of screen size is something amazing for the gamers. 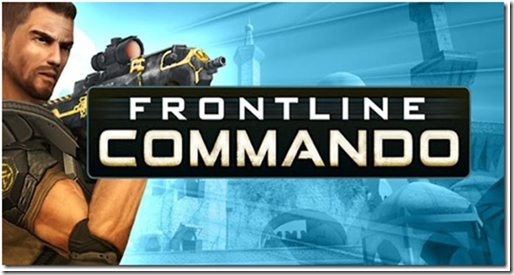 Bigger screen size and a powerful processor are the key factors in bringing good quality to the games. Many modern games utilize increasingly sophisticated and immersive graphics; meaning the quality of screen size and resolution very important to the overall experience. The all new TF700 comes with a striking amethyst gray finish color. The metallic back with the silver color embossed on it gives a stunning look to the device. The tablet also comes in Champagne gold color. If you think colors will intrigue and will capture your interests apart from the gaming intentions, then TF700 can be the best pick for you. The upgrades to the original Asus Transformer (the Prime and the Infinity) both feature quad core Nvidia processors which provide gamers with virtually unbeatable graphics and processing power, making them ideal for playing 3D games – whether it is online casino ones or any other type. This processor is available with all models of the Transformer Pad now, including the budget price 300 model. Infact, this is the only product to boast a 1.7 GHz CPU and has the capability to support the PS3 and Xbox controllers. The Micro HDMI port of TF700 and some of its other Asus versions helps the users to connect the device to monitors or big screens. It helps them to play the games and enjoy a unique experience. You can get them connected through the wired PS3 or Xbox controllers. USB compatible games can also be played. It even supports gaming through dongle devices. So, what more is awaited and it’s time for the gamers to jump into action!!! 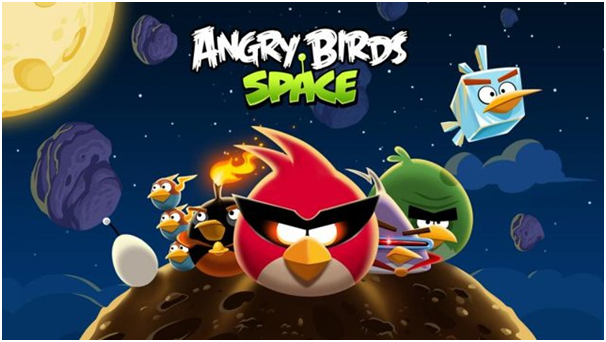 This has been a key area where all Android devices have always been lagged behind by Apple, but more of the popular iOS games than ever are now available for Android as well. 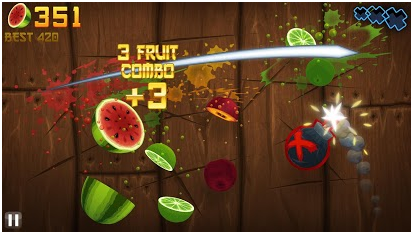 In addition, really good games are starting to be designed for Android devices like the Infinity in particular, such as Zen Pinball THD. Google store is stuffed with brand new games that are nascent when compared with the popularity of its Apple counterpart. However, the Android games are all set to give a tough challenge to the Apple games. The transformer pads come with amazingly sharp and clear images even on big screens when connected. It is the perfect device for the full time gamers and the money you spend on this device is rightly justified. 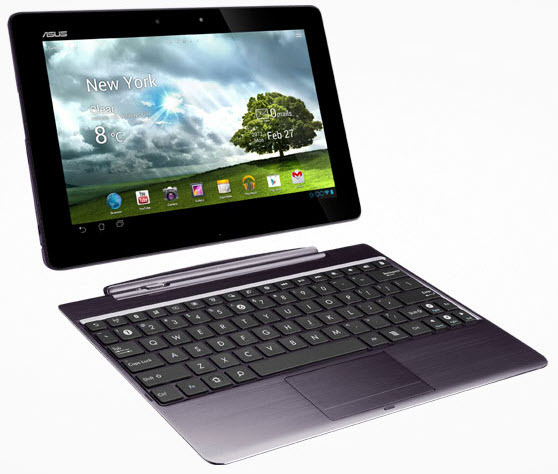 Do let us know what do you feel about the Transformer Pad tablet range by Asus! 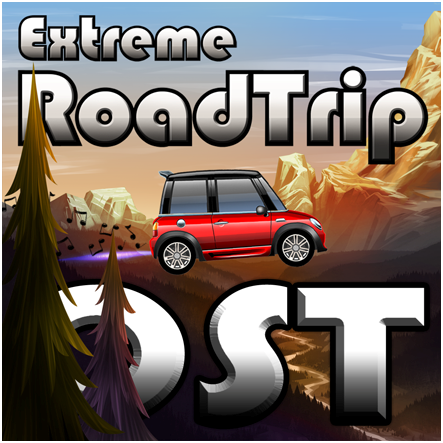 This is a guest post by Raj Kumar.